Abigail was rescued as a baby by Lord Edmund Hammond – or so she believed. Raised as a lady, calling him father, she enjoyed a sheltered life as she grew up and loved her step-brother, Frederick. 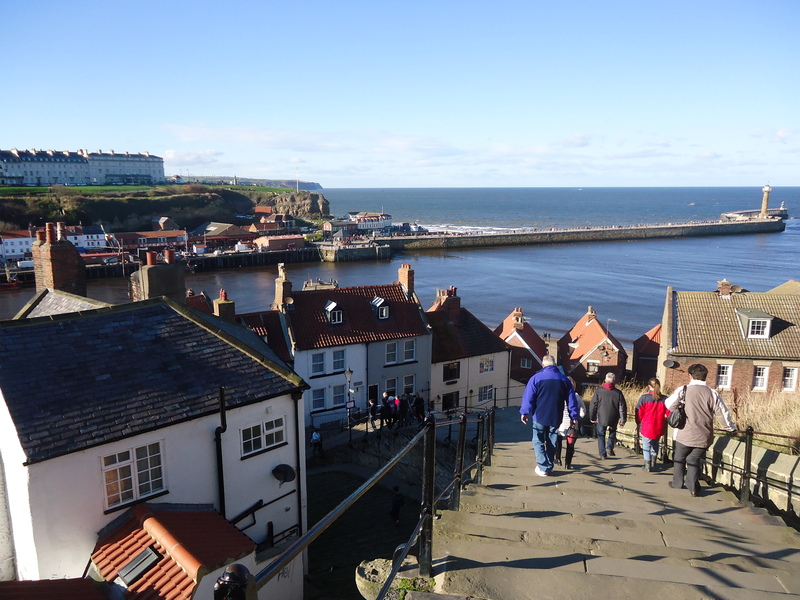 Life dramatically changes because she has to flee from a forced marriage when Lord Hammond falls ill. With her lifelong maid she travels to the port of Whitby via the beautiful ancient city of York. 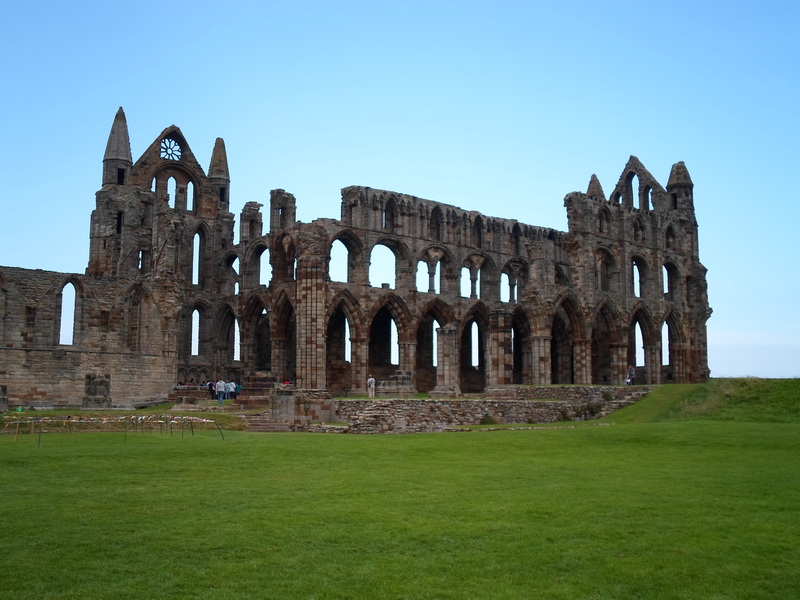 To Abigail’s naive eyes Whitby would have been a noisy, bustling place with a myriad of smells from the various industries surrounding the whaling, fishing and boat making industries. Even Abigail’s name, like her situation, has a double irony. Abigail literally means ‘my father’s joy’, yet she does not know who he is. The name is also used commonly to refer to a lady’s maid. 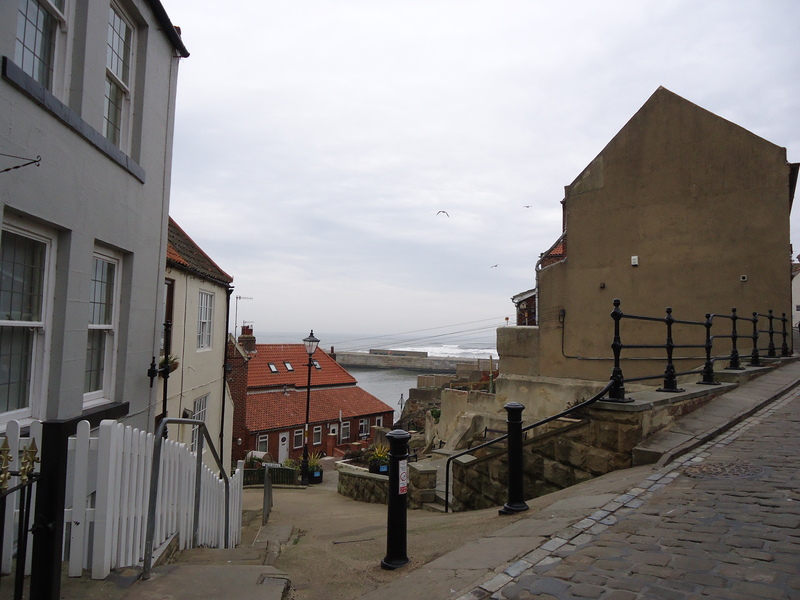 When I explored Whitby I came across a narrow snicket in which was a love old ram-shackled set of buildings I borrowed this setting for ‘Biddy’s Bakery’, placing it next to an old inn like the amazingly well restored White Horse and Griffin and took the extra liberty of placing a laundry opposite. Whitby was so wealthy through the whaling industry that in 1790 there were two street lamps in Church Street outside this original coaching inn. I had the pleasure of staying in the same room that it is said Charles Dickens once used. It was a lovely friendly place in a fascinating location, and serves excellent food. The eBook of Abigail Moor: The Darkest Dawn is available from Smashwords and Amazon directly for $2.99/£1.88 from most eBook sellers. I am delighted to welcome Margaret James back to my blog as she tells us about her enchanting new book Magic Sometimes Happens! Thank you for inviting me to be a guest on your blog, Valerie. It’s great to be here! Today, I’m going to tell you about the inspirations – music, poetry and places – for my latest novel, Magic Sometimes Happens. The story is about second chances for both my hero and my heroine. My hero Patrick Riley is married, is the father of two small children and doesn’t expect his wife to leave him for a man she says makes her fly. My heroine Rosie Denham is running away from a bad mistake and needs to learn to forgive herself. The story starts when Rosie visits Minnesota in the fall, a season which is probably the most beautiful time of year in one of America’s most beautiful states. The whole place seems to turn red and gold almost overnight as the trees change colour. But fall is a very short season. Minnesota’s long, harsh winter will soon be on its way, and the whole place will be frozen solid for almost six months until spring makes a brief appearance before the next sweltering summer comes around. So yes, Minnesota has an extreme climate. But it’s place that is full of extremes. The Twin Cities of Minneapolis and Saint Paul are divided by the Mississippi River, which winds between limestone bluffs and through various locks and channels to join the Missouri before flowing on to the Gulf of Mexico. There are quiet, very beautiful stretches of river very close to the urban hearts of Minneapolis and Saint Paul. But some parts of the Twin Cities are very built up. Minneapolis is home to the Mall of America, the biggest shopping centre in the western world. But there are also hundreds of parks, lakes and playgrounds dotted between the buildings, and – in spite of the dozens of high-rise buildings and skyscrapers in downtown Minneapolis – the whole place has a countrified feel to it. Most American schoolchildren are probably familiar with Henry Longfellow’s narrative poem, The Song of Hiawatha. It’s the story of a Native American warrior and his bride Minnehaha and it’s set in Minnesota. When you visit the Twin Cities, you can’t help but be aware of the influence of Longfellow on place names. You’ll come across Minnehaha Park, Hiawatha Avenue, the Hiawatha Clinic and many more. My fashion PR consultant heroine Rosie is a British girl who has never heard of Longfellow, but American-born Patrick knows long stretches of the poem by heart. As for music – although Patrick is a professor of IT and very science-oriented, he is in love with music, especially American classical music by the likes of George Gershwin, Aaron Copland, Leonard Bernstein, Samuel Barber – Pat listens to them all. But his absolute favourite is Gershwin who wrote, among many other compositions, Rhapsody in Blue and An American in Paris. So, when Rosie takes him to Paris, Patrick can’t help but be enchanted and magic is surely bound to happen! Maybe have a listen and see if you’re enchanted, too? Why not have a peek at her blog, or chat with her on Facebook and Twitter?